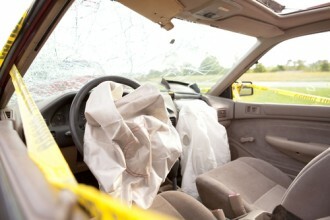 Here is the conclusion to our blog series 6 Important Facts about Intersection Car Accidents. Fact 5: Some crash avoidance technologies may help prevent intersection car accidents. When any type of negligence causes intersection car accidents, injured people can trust our Littleton attorneys to help them obtain the compensation they deserve. Adjusting the steering (or preventing steering) to try to avoid hitting objects in the vicinity of the car. For example, if drivers are attempting to make right-hand turns at intersections, crash avoidance technologies can warn drivers if there is a pedestrian or cyclist in the vehicle’s blind spot. Despite the potential life-saving benefits of crash avoidance systems, however, it’s still important that drivers are aware that how they respond to these systems’ warnings will ultimately be critical to whether or not they are able to avoid getting into intersection car accidents. In other words, these technologies cannot make up for drivers being intoxicated, inattentive, careless or reckless. Fact 6: After intersection car accidents, injured people can trust Bahr & Kriedle to help them get the compensation they need and deserve. The most critical piece of information that people should remember when it comes to intersection car accidents is that, after these collisions, the Littleton car accident attorneys at Bahr, Kreidle & Flicker will be here to defend victims’ rights to compensation for their injuries and losses. Our attorneys know how devastating the impacts of intersection car accidents – or any traffic accidents – can be, and victims can always trust us to help them build the strongest possible cases and obtain the highest possible settlements. A choice to work with the trusted Littleton car accident attorneys at Bahr and Kreidle can empower injured people and give them confidence that their important legal matters will be resolved as favorably and efficiently as possible. If you or a loved one has been hurt in any type of motor vehicle accident, our Littleton car accident lawyers urge you to meet with us for a free, no obligations initial consultation. To set up a meeting, call us at (303) 794-7422 or email us using the form on this page.